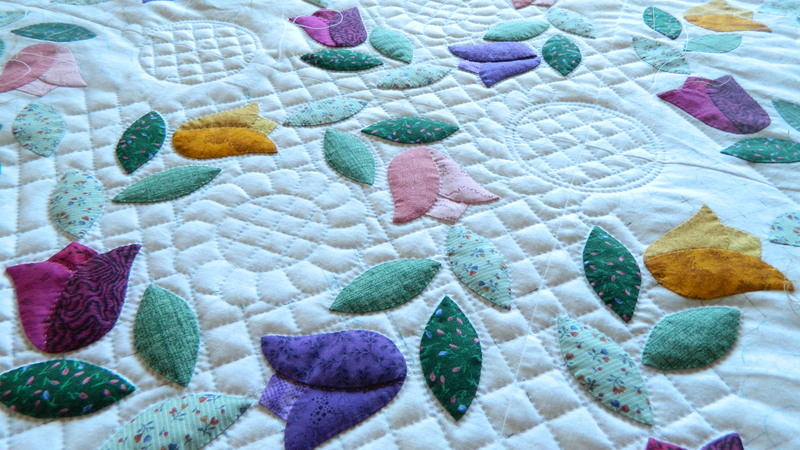 Your hand quilting in the frame is terrific! I am excited because I found a beautiful cherry wood 24″ floor hoop at a garage sale. I only paid $30. I think it was originally $200-300. I absolutely love it. It swivels and tilts all around and keeps it off my lap. Wish I had had it when I quilted my Civil War Bride. You are such an inspiration.